Atticus Aristotle, "Success and Happiness: Quotes to motivate, inspire, and live by." 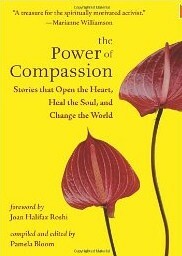 The book contains inspirational quotations on topics like honesty, truth, ethics, morality, integrity, fairness, etc. Read reviews or order this book safely from Amazon.com online book store. Available in paperback and Kindle formats. "This book makes an important contribution to our understanding of Witchcraft and its appeal among real-life young people on three continents. It's a fascinating story of young practitioners who find in alternative spiritual practices a way to affirm diversity and respect for all people." 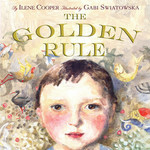 Read reviews or order this book safely from Amazon.com online book store. Available for U.S. $21.95 plus shipping. "Spiritual enlightenment is an advanced state of awareness that reveals the true nature of the world around you- this enlightened awareness helps you make the world a better place for you and all other living creatures. Be Enlightened! explains how enlightenment originated in early human history, how it became obscured during the evolution of the human mind, and how you can regain this enlightened awareness that was lost to our ancestors so many years ago. Be Enlightened! reveals the modern psychology and biology underlying the enlightenment experience and provides you with step-by-step instructions to attain your own enlightenment as soon as possible. The spiritual center of Be Enlightened! is a new annotated interpretation of the 2500-year-old Tao Te Ching that makes it easy to understand and use as a tool to attain your enlightenment. Be Enlightened! also teaches an ancient form of Taoist meditation described by Lao Tse in the Tao Te Ching. This combination has been tested in my work with thousands of individuals. I have organized everything for you into a six-month journey that will shift your personal growth into high gear. Regardless of your own preferred type of spirituality, Be Enlightened! will help bring you closer to your own highest spiritual power. You can possess the great treasure that wise men and women have been searching for throughout history. This will be the greatest journey of your life. Let's get started now!" "... to reflect the crimes of humanity that were done and continue to be done unto my people and to the entire world, perpetuated through the conquering Christian nations and churches with their false teachings and false religion© their fraud!" "... show that the judgment that the Christians teach as coming soon, was a judgment that was already fulfilled upon Jerusalem 2,000 years ago, and therefore never had, nor does it have anything to do with my Aborigine people of Australia or any person within this world, except the Jewish people to which this judgment came upon 2,000 years ago. 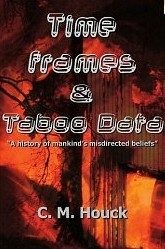 A description of the book can be seen at: http://www.poseidonbooks.com/ On 2007-APR-16, the book was listed for $27.00 Australian dollars, shipping included. This is about U.S. $23.00. Author CL Claridge recommends her book "Buddha Heart Parenting." The book "... offers the reader deep insights into how to integrate Buddhist philosophy with contemporary psychology to arrive at a method of parenting that is both effective and enables family members to realize their true Buddha nature. It provides a frank look at the norms and status of parenting today, and suggests ways to develop more authentic communication using Buddhist principles." 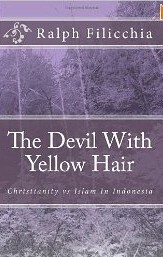 It is available from http://www.snowlionpub.com for $18.95. Stirling M. Cooper, Sr.: "Replacing the Ten Commandments: Coopers Essays Guidelines for Creating a Good Life and a Civilized World." "Is it time to replace most of the religious commandments and codes of the past with reason and secular thinking? In modern terms, what are the purposes of life? What are the purposes of schooling? What are the implied contracts between any citizen of the world and his/her government? What are the duties and responsibilities of all persons who are members of the human race? These are but a few of the BIG questions raised by Stirling. He attempts to look at the great ideas of mankind and to view them as objectively as possible. He is not attempting to indoctrinate, nor to defend any particular "box." He is not a member of any church, political party or social group. Tom Crawford, "The Human Handbook: Your extraordinary story,"
Booklocker, (2007-OCT-31). Read a book review and/or order. Jimmy Creech, "Adam's Gift: A Memoir of a Pastor’s Calling to Defy the Church's Persecution of Lesbians and Gay,"
Duke University Press Books, (2011-MAR-11). Read a book review and/or order. From Amazon.com's product description: "Rev. Creech ... determined that the church was mistaken, that scriptural translations and interpretations had been botched and dangerously distorted. As a Christian, Creech came to believe that discriminating against lesbian, gay, bisexual, and transgender people was morally wrong. This understanding compelled him to perform same-gender commitment ceremonies, which conflicted with church directives. Creech was tried twice by The United Methodist Church, and, after the second trial, his ordination credentials were revoked. Adam’s Gift is a moving story and an important chapter in the unfinished struggle for lesbian, gay, bisexual, and transgender civil and human rights." "Ralph Ellis has discovered and exposed many new perspectives on the life of the biblical Jesus, who was actually a king." Guardian Angels Chronicles - "David and Goliath" written by Bryan Hathaway. Here is the famous story of a brave youth who forges his courage through his faith. "Highly satirical and humorous while scathingly poking holes in the armor of religious belief, The Atheist Vignettes is an irreverent, sometimes didactic, but always entertaining novella of “associative fiction” that weaves short stories, playlettes, news reports, internet chats and other literary forms into a very human story with an unexpected ending. Even the "author" is a character!" "This book comes in two parts. The first half looks at how we as a civilization got to where we are now in our physical and spiritual development. The second half allows us to take a long look at ourselves as a people. It examines our beliefs, and the practices of the "priesthood and organized religion," that has made our world here in the twenty first century the way it is! This book has attempted to separate the fact of a "God" from the myths of humanity that have so shaped our lives." "Wolves Among Sheep" by James Kostelniuk. Amazon.com's review states: "... Compelled to write the book as an expression of sorrow and love for the family so cruelly taken from him, Kostelniuk also had a deep need to arrive at some understanding of why these senseless murders took place. This question led him to expose the influence of the Jehovah's Witness organization that wielded total control over [his former wife] Kim's life, as it had over himself until he found the resolve to break with the organization. In making that break, Kostelniuk knew he would be forever shunned by the Witness community and, according to its laws, forbidden contact with his own wife and children. The convicted killer, Jeff Anderson, was also a member of the Jehovah's Witnesses. 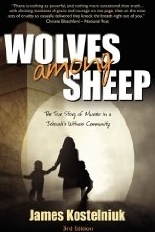 ... Wolves Among Sheep is a riveting read that explores the darkest parts of the human heart and mind, and surprises us with the depth of its love and compassion." Read reviews or order this book safely from Amazon.com online book store. Available for U.S. $17.99 plus shipping.